Holy Cross Energy in Glenwood Springs is promoting electric vehicles in the hopes that more of its members will buy the cars and start utilizing electricity to fuel their cars rather than gasoline. Holy Cross officials joined dignitaries from Garfield, Pitkin and Eagle counties at co-op headquarters recently to announce the launch of the electric vehicle sales event, “REV Up Your Ride,” a campaign to drive up purchases of electric vehicles. 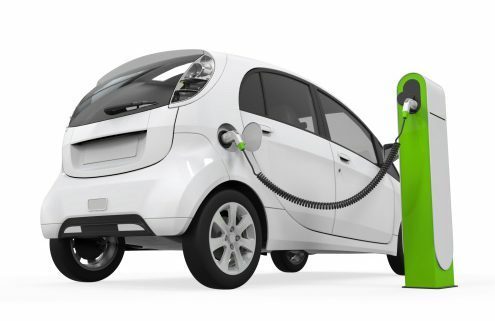 For the sales event, which runs through June 30, four auto dealerships are offering discounts on seven models of electric vehicles, including plug-in electric and gasoline hybrids and plug-in battery electric vehicles. The discounts can be combined with Colorado’s tax credit up to $5,000 and federal tax credit up to $7,500. Vail town councilwoman Kim Langmaid says, “The EV Sales Event goal is for the dealerships to sell at least 50 electric vehicles to residents and businesses in the three counties.” The sales event also set a goal of increasing public charging stations in the region by 25 percent, growing the current number of stations to 200 by the end of the year. Compared to other transportation fuels, electricity is the cheapest. In Colorado, the average price of gasoline is currently about $2.32 per gallon, while the price of electricity purchased from Holy Cross Energy is $0.94 per eGallon. EVs also have fewer moving parts and are often much simpler than a conventional vehicle. No oil changes are required, brakes last longer and maintenance costs can be cut in half, according to energy.gov.